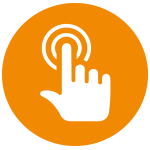 A new way to discover and access ANZCA Library's resources! Welcome to ANZCA Library's new WorldCat Discovery service. 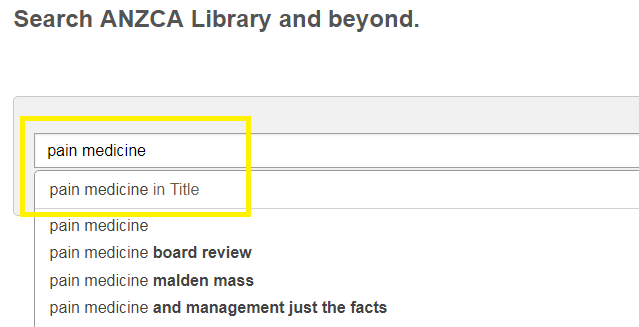 The new service allows users to access the entire ANZCA Library collection through a single Google-like search interface. 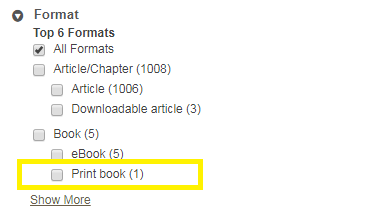 This includes article-level access to over 900+ full-text medical journals, and title-level access to 9000+ medical e-books and nearly 2500 specialised anaesthesia and pain-medicine-related print items. The discovery service matches on exact spelling. Titles containing commonly used words should be restricted to title matching. - Cant find it? Try Worldwide! Whilst the vast majority of ANZCA’s library resources show as held, there are some articles that can only be accessed by expanding your search to Libraries Worldwide. Simply click on the Libraries Worldwide facet in the left sidebar or select the Do you want to expand your search to libraries worldwide? link. 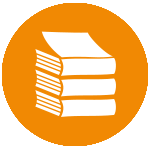 The discovery service collapses all the different editions and formats (print and e-book) into a grouped or representative record. Be default, the record displayed is usually for the most recently held item. 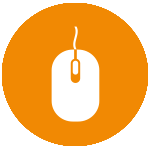 After you perform a search in WorldCat Discovery, items in your search results will include icons for users to quickly add records to a list, email a record or a list of records, copy a record link, or export a citation. The icons are available from the brief results, the action panel, and on the detailed record (mobile view). - Format a citation: Generate and copy a styled citation. - Export a citation: Cite the record using EndNote, RefWorks or RIS format. - Email record: Choose Email to share a single record with up to five (5) email recipients. - Note: You also have the option to add a record to a list and email the list to up to five recipients at the end of your session using My Items or My Personal List (see details below). - Share record link: Opens a pop-up window with the permalink displayed. Copy and share the link. - Save record: Adds the record to the My Items list - which can then be emailed to yourself, exported as citations or shared with others (see details below). - Note: Records added to a list are stored temporarily for the session until the session times out. 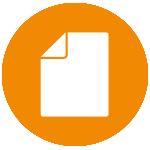 Users can save up to 100 records in a list by clicking on the Save icon that appears next to the item. When users reach the limit, the interface displays text as a warning message: "Your list is full. Please remove records from your list or clear your list to add more records." Users can close the message and continue to search; However, they will not be able to add another record to the list until one or more records are removed. Users can remove one record at a time by using the icon beside each record. Users can delete all records in the list by clicking Select All, then clicking the Delete icon. Search for the items you would like to include in a list. Click the Save icon to add the citation to the list. When finished, click My Items in the upper right corner to display the list. Click on the Create List icon. Shared: a permalink is generated for others to view, site and share the list. Changes to the list are updated in realtime after the page is refreshed. Private: the default value, no permalink is created and the list is only visible to its creator. This option can be changed after the list has been saved. If a Shared list is changed to Private, the list content automatically becomes inaccessible to anyone with the original permalink. Go to the list or saved item you want to share. Click the Email icon: an Email List window will display. Enter up to five email addresses, separated by commas in the Email Address(es) field. Provide a Subject and (optional) Message (limit 500 characters). Click Send Email or Send List. Your items or list will be sent. Go to the list containing items you want to cite. 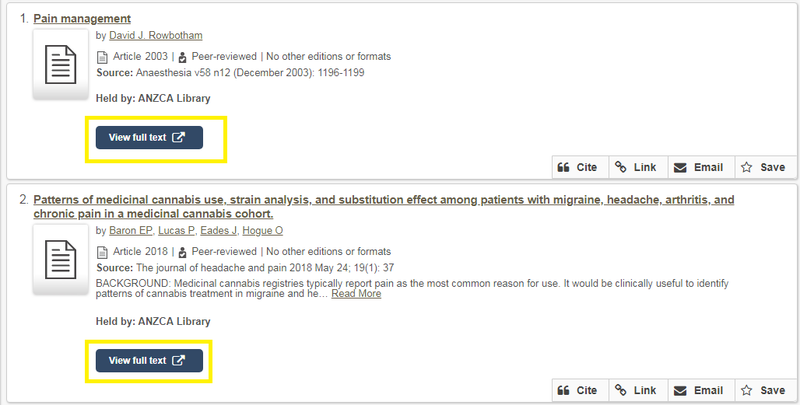 Click the check box next to the items you want to create citations for or check the Select All box. Click the Cite icon: a Cite List window will display. 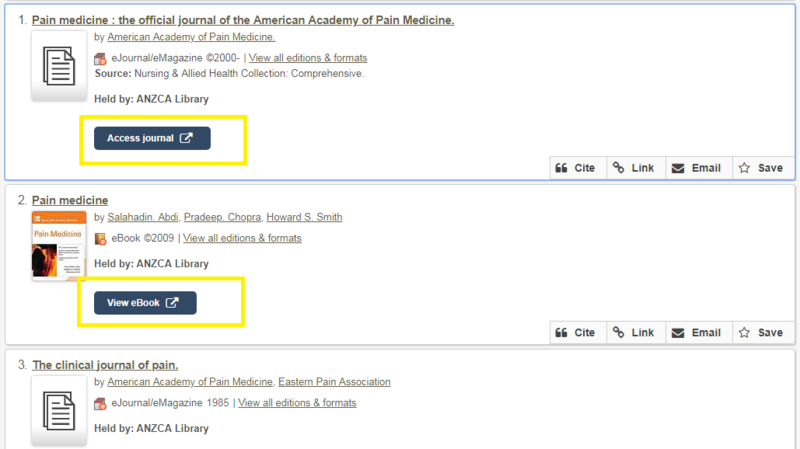 Select the citation style: the citations appear in a Copy & Paste box. 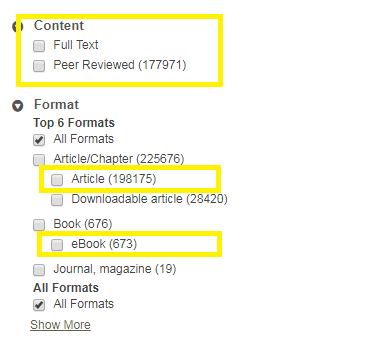 Export the citations by clicking on one of the Export options or copy and paste them from the text box. Go to the list containing items you want to move. Click the check box next to the items you want to move, or select all by checking the Select All box. Click the Move icon: a Move Records window will display. Select the list to which you want to move the items. Select individual items to be removed from the list or click the box to Select All. A message opens to confirm this action. Click Delete Records to continue or Cancel to return to the list. 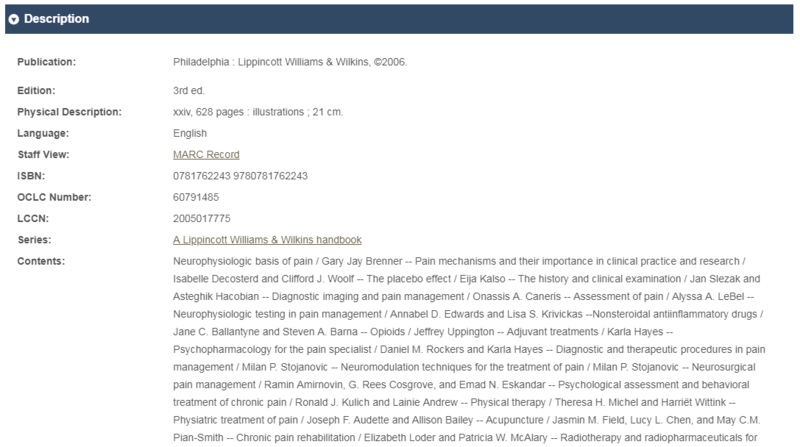 ANZCA Library provides access to a large range of medical journals and e-journals, specialising in anaesthesia and pain medicine-related titles. 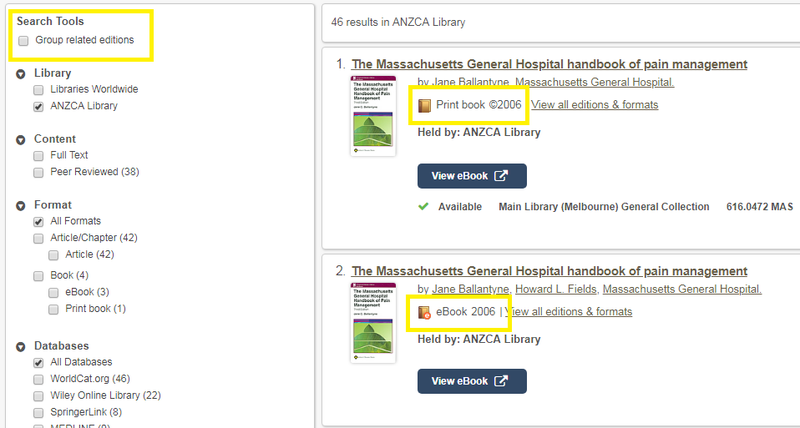 ANZCA Library provides access to a large range of medical e-books. 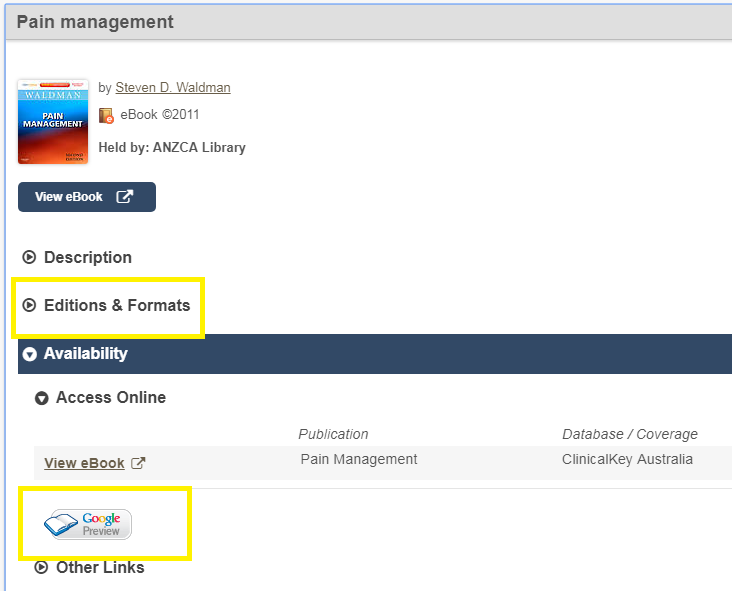 ANZCA Library provides access to a large range of books, specialising in anaesthesia and pain medicine-related titles. NOTE: This is not the same as your ANZCA/Networks password used to access to e-resources. Setting/resetting your library account password will not affect your Networks password. Couldn't reset your password? 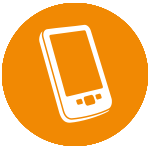 Contact the library and a library staff member will check/update your contact details. Note: Library staff are unable to view/set your library account password details. WorldCat Discovery can be searched using Boolean operators and approximate term queries. Save your searches to quickly reproduce queries. 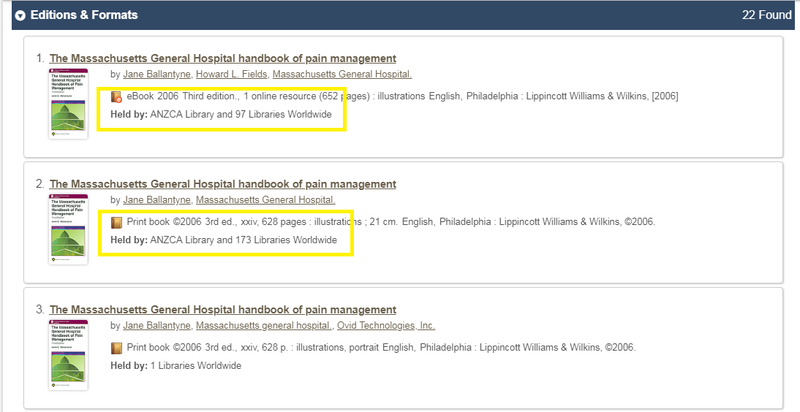 See where and how item bibliographic data is displayed in WorldCat Discovery records. Use the Advanced Search screen to refine your WorldCat Discovery search results. Refine your WorldCat Discovery search results with search filters and suggested results. Use icons in the WorldCat Discovery interface for citations, permalinks, and to email records. Create item lists and personal lists and save searches. Nau mai ki to whare pukapuka hou! New Zealand-based users will be delighted to learn that the new discovery service includes a Māori language interface. Simply navigate to the Language drop-down (which can be found in the navigation sidebar/footer) and change the setting to Māori - the interface will then automatically update to utilise Māori language options throughout.